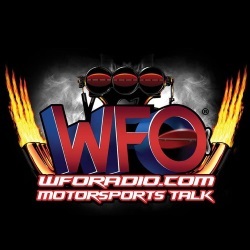 CONCORD, NC (Nov. 6, 2018) — World of Outlaws Craftsman Late Model Series Director Matt Curl — former promoter of Fairbury American Legion Speedway (FALS) and longtime Fairbury resident — will soon add Track Owner to his bio as he acquires a majority share of his beloved quarter-mile oval. Tonight, the American Legion made the official announcement to the Fairbury Fair Board, which will be realigned as a pivotal step toward a new arrangement that will position Curl at the helm. When the Series brought Matt Curl into its fold last November, is was largely due to Curl’s impressive success as FALS promoter. But Curl’s history with the track runs deep, having served it in countless capacities throughout his career, from official to race director. His loyalty doesn’t stop outside the gates; Curl was born and raised in dirt-loving Fairbury, IL, and continues to call it home. 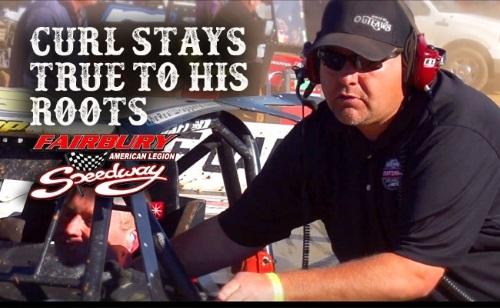 With this same passion, Curl took the reins of the World of Outlaws Late Model Series last November, leading with a soft-spoken steadiness — calm, collected and smart. And committed. Always committed. Currently putting the final touches on a well-thought-out, racey, 2019 racing schedule, Curl looks forward to an unprecedented season. The Series will soon announce the backbone of the 2019 schedule, the marquee events that form the basis of a great season for all — fans, drivers, tracks, promoters, sponsors, the Series, and everyone involved. 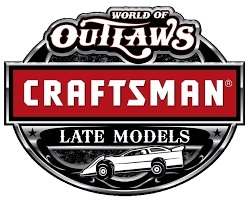 The World of Outlaws Craftsman® Late Model Series brought to fans across the country by many important sponsors and partners, including: Craftsman (Official Tool), Sears (Official Home Store), NGK Spark Plugs (Official Spark Plug), Morton Buildings (Official Building), Textron Off Road, Arizona Sport Shirts (Official Apparel Company), Hoosier Racing Tire (Official Tire), iRacing (Official Online Racing Game), VP Racing Fuels (Official Racing Fuel) and DirtonDirt.com (Hard Charger Award); in addition to contingency sponsors, including: Cometic Gasket, COMP Cams, Edelbrock, JE Pistons, MSD, Penske Shocks, PFC Brakes (Fast Time Award), QA1, QuarterMaster, and Wrisco (Exclusive Racing Aluminum); along with manufacturer sponsors, including: Capital Race Cars, Integra Shocks, Impact Racing Products, Intercomp, Racing Electronics, Rocket Chassis and TNT Rescue.